Thanks to Pete Boettke for forwarding this thoughtful CHE piece on the dissertation defense. Like the writer, I never had a defense; I was exchanging dissertation drafts with my adviser (via snail mail — this was a long time ago), and one day he simply said, “Send me the title page,” and I was done. Having participated as a professor in many defenses, both for my own students and for others at home and abroad, I not only appreciate the value of the defense, but recognize the substantial differences in defense formats around the world (fairly casual in the US, much more formal and ceremonial in Europe). I remember touring the University of Salamanca a few years ago and learning how defenses were conducted in the 15th and 16th centuries — multi-day events filled with huge parties and strange rituals, including the candidate spending the night before locked in a room and being stepped on by faculty and other students. Capabilities and Organizational Economics: How Do They Relate? A long-standing discussion in management research concerns the relation between capabilities perspectives on the firm and organizational economics, including transaction cost economics and agency theory. 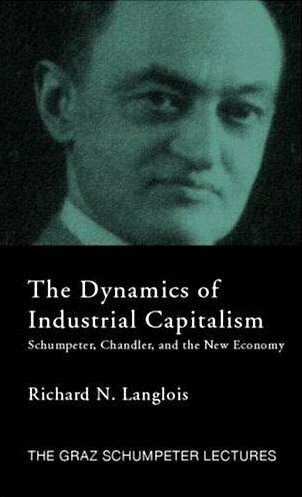 In particular, proponents of capabilities ideas have criticized organizational economics for exaggerating the role of opportunism (and similar constructs), neglecting value creation and downplaying dynamics. 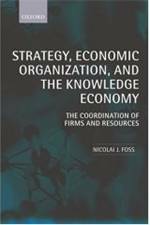 Conversely, proponents of organizational economics have criticized the lack of a clear unit of analysis, causal mechanisms and micro-foundations in the capabilities approach. With Nicholas Argyres (Washington University), Teppo Felin (Brigham Young University), and Todd Zenger (Washington University) Foss is an editor of the September-October issue of the leading management research journal, Organization Science, titled “Organizational Economics and Capabilities: From Opposition and Complementarity to Real Integration” (http://orgsci.journal.informs.org/content/23/5.toc). This special issue contains a number of articles by leading contributors to the discussion, and mixes theoretical, empirical and modeling approaches, as well as an introduction by the editors that survey the debate and defines a new agenda for research in the field. “We are pleased that we got so many high-level contributions for this special issue,” says Foss, “and in particular that these contributions truly manage to define a new, creative research frontier where the emphasis is on researching the interplay between theoretical mechanisms identified by the two perspectives. Henry G. Manne is Dean Emeritus of the George Mason School of Law and an expert on insider trading, legal education, university governance, and law and economics. He has also taught at St. Louis University, the University of Wisconsin, George Washington University, the University of Rochester, Stanford University, the University of Miami, Emory University, the University of Chicago, and Northwestern University. Dean Manne is an Honorary Life Member of the American Law and Economics Association, which honored him as one of the four founders of the field of Law and Economics. He launched the Law and Economics Center at Emory University and the University of Miami before bringing it to George Mason University. His monograph, An Intellectual History of the School of Law, George Mason University, traces the development of the law and economics. Dean Manne’s other writings include such seminal works as Insider Trading and the Stock Market, Wall Street in Transition (with E. Solomon), and “Mergers and the Market for Corporate Control” Journal of Political Economy, 1965). He is also a frequent contributor to the Wall Street Journal. In 1999, the Case Western Reserve Law Review published the papers from a symposium honoring the many contributions of Dean Manne to the law and economics movement as The Legacy of Henry G. Manne. The Liberty Fund recently published The Collected Works of Henry G. Manne in three volumes. Dean Manne holds a B.A. from Vanderbilt University (1950), J.D. from the University of Chicago (1952), J.S.D. from Yale University (1966), LL.D. from Seattle University (1987), and LL.D. from the Universidad Francesco Marroquin in Guatemala (1987). A few quick thoughts on today’s Nobel Prize announcement. More later, once better informed people, from whom we can steal ideas, have weighed in. Market design is basically the study of exchange without prices. As most of economics deals with prices, this is a somewhat specialized subfield. The best-known example, courtesy of Al Roth, deals with kidney exchanges. Most economists will tell you that the best way to deal with shortages of transplantable organs like kidneys is to legalize kidney sales. (My friend Andy Barnett and the late David Kaserman wrote extensively on this.) If, for whatever reason, that is infeasible — Roth notes that many people find such sales “repugnant” — then various matching algorithms may be better than nothing. Roth and colleagues have studied and compared these matching algorithms. To get up to speed, Roth’s 2007 article in Harvard Business Review is probably a good place to start. For more technical comments see Josh Gans and Alex Tabarrok, and. Knowledge Problem is my go-to source for this kind of stuff, so I’m eagerly awaiting the commentary there. We discussed market design at O&M in 2007. Shapley’s contribution’s to cooperative game theory underlie Roth’s work. It’s a bit trite to point this out, but I’ll point out anyway that the huge popularity of game theory over the last three decades, particularly in IO and business strategy, rely almost entirely on noncooperative game theory, while the cooperative branch has been somewhat neglected. But bargaining is clearly important for strategy, organization, and entrepreneurship, so look for increased interest in this branch.